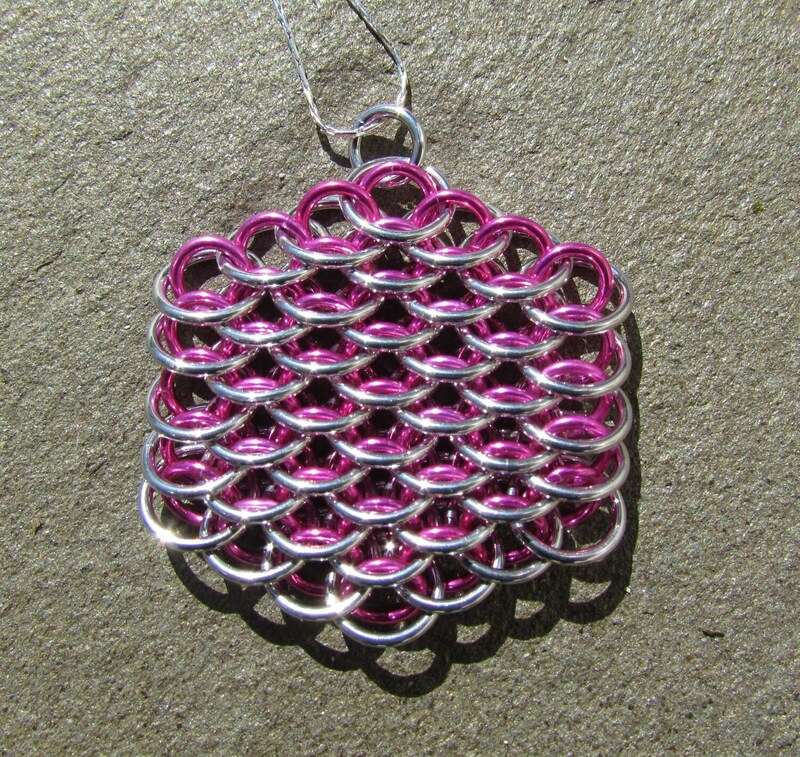 This is a very lightweight chain maille pendant using the dragonscale weave. It is made using very shiny aluminum rings in bright pink and plain (unanodized) aluminum. It has a very fluid and flexible feel. This pink pendant measures approximately 1 1/2 inches both horizontally and vertically (not including the ring used as a bail).